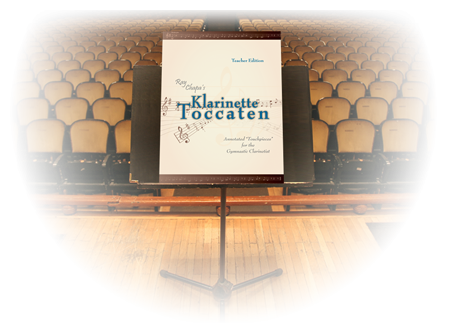 Ray Chapa's Klarinette Toccaten seeks to impart a systematic, intensive approach to students' efforts to acquire a beautiful clarinet tone and technical proficiency. 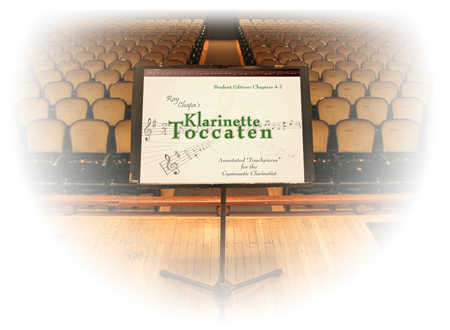 The Toccaten are 87 annotated mini etudes of 4-8 measures designed to address the myriad of tonal and technical issues confronting the developing clarinetist. Appropriate for all levels, the touchpieces are intended to advance the timeline of traditional beginning methods and to provide a source of weekly, targeted assignments for more advanced players. 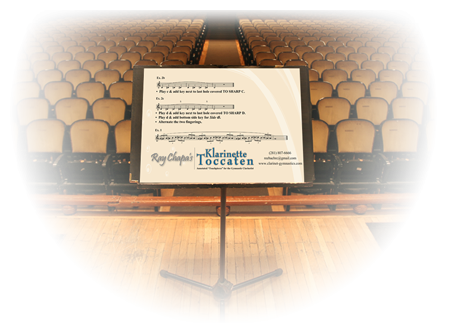 Chapters/Lessons include Technical Tasks, Embouchure Refinement, Preludes to "Crossing the Break," Side Keys, The Chalumeau, and Chromaticism. The goal is for students to become technically proficient in all three registers. Segmented as it is, the program can be adapted to both homogenous and heterogeneous classroom settings.